At the end of AC/DC‘s “Rock or Bust” tour in 2016, it appeared Angus Young was the only longterm member of the classic lineup to be left in the band. However, through various photos and social media posts, it looks like all four surviving members of the long-running lineup featuring Brian Johnson (vocals), Angus Young (guitars), Cliff Williams (bass), and Phil Rudd (drums) of AC/DC may be back together. Despite from Phil Rudd leaving the band from 1983 to 1994, that lineup stayed together until 2014. Unfortunately, it was around that time when Malcolm Young’s health started to deteriorate (Malcolm passed away in 2017). Also, in late 2014 Phil Rudd found himself in serious legal trouble. In 2016, Brian Johnson was forced to leave AC/DC in order to prevent complete hearing loss and was replaced by Guns N’ Roses frontman Axl Rose for the remainder of the band’s tour. 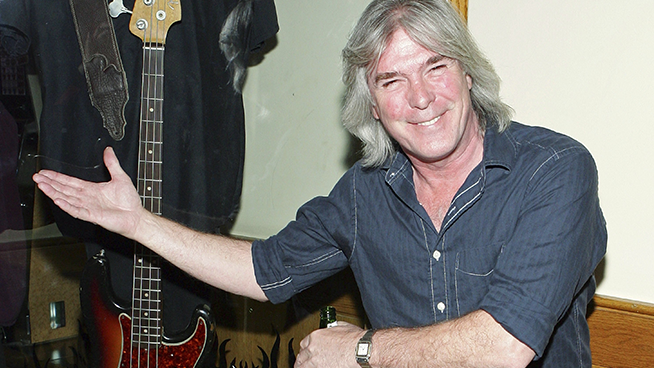 Plus, Cliff Williams announced his retirement from the band at the conclusion of the “Rock or Bust” tour. Now, a new photo with Brian Johnson and Cliff Williams working out with a trainer at a Vancouver hotel gym back in December 2018 has surfaced via Instagram, stirring up fans to speculate that Cliff Williams is back in the band as well. At the time of the article being posted, the photo in question has been deleted from Instagram. Maybe with Brian Johnson and Phil Rudd apparently back in the band, Cliff Williams had a change of heart. Please keep in mind that none of these members have officially confirmed their return to AC/DC. So while it all looks encouraging and we can guess what the band might be up to, we’re still awaiting a formal announcement from AC/DC concerning the lineup and future.